Dogs are intelligent, social animals that often suffer from the same types of anxiety as humans. Pet parents have lots of choices for easing their stress, from counter-conditioning techniques to natural treatments and dog anxiety medications. 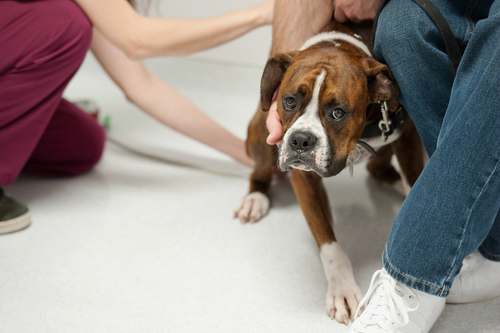 In this article, we’ll discuss the causes of canine anxiety and the pros and cons of its many treatment options to help you make the best decision for your pup. The world can be a scary place for some dogs. Loud noises from fireworks, thunderstorms, motorcycles, etc. are common causes of anxiety. Other dogs dread car travel, busy shopping centers, or trips to the vet. Even everyday objects such as hats, canes, umbrellas, and baby carriages can strike fear into the hearts of anxious pups. While any dog can develop the fears and phobias that lead to anxiety, early socialization and exposure can help prevent and treat it. 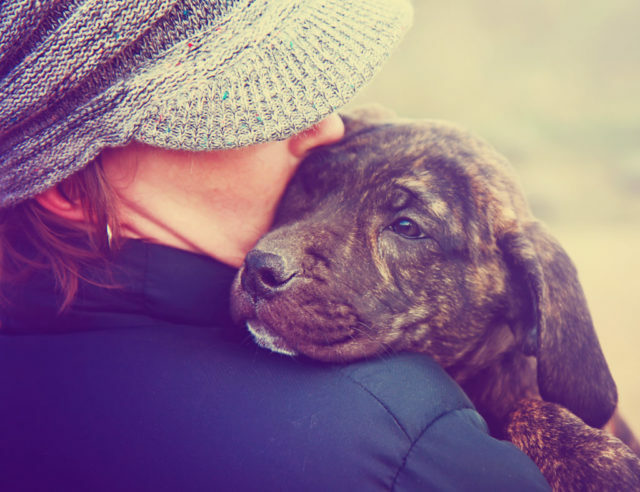 The most common cause of anxiety in dogs is separation from their favorite humans. As pack animals, our dogs come to depend on our presence. You may notice that your pup shakes or paces at the sight of you dressing for work or grabbing your keys. Separation anxiety is difficult to prevent and even harder to treat. Luckily, several options are available including behavioral modification training, alternative therapies, and dog anxiety medication. Like humans, dogs’ senses weaken as they age. Their vision dims, their hearing goes, and many develop cognitive dysfunction. Besides these frightening changes, older dogs also experience joint pain, which can make it difficult to navigate their surroundings. It’s no wonder so many pups develop anxieties and insecurities as they head into their senior years. 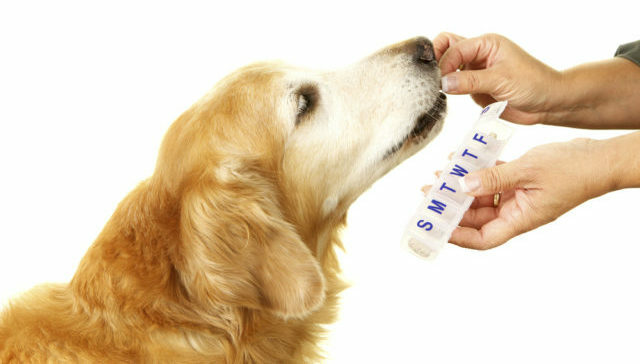 For tips on how to make life easier for your senior dog, click here. What Are The Symptoms Of An Anxious Dog? Note: Anxiety symptoms can be quite severe in some dogs. If your pup has become self destructive or poses a risk to you, your family, or any other pets in the home, seek professional help immediately. What Are The Pros & Cons Of Dog Anxiety Medication? Dog anxiety medications fall into several categories. 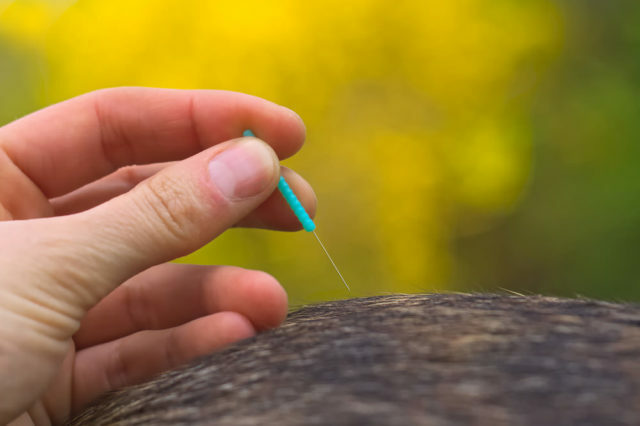 Below you’ll find how each class of drug works to ease anxiety, and the potential pros and cons for each as per the British Small Animal Veterinary Association. These drugs work by increasing serotonin and norepinephrine levels in the brain. Amitryptiline and Clomipramine (Clomicalm) are common tricyclic antidepressants for dog anxiety. The medications within the SSRI class work on many types of anxiety by increasing serotonin in the brain. Common SSRI dog anxiety medications include Paroxetine (Paxil), Sertraline (Zoloft), and Fluoxetine (Prozac). Benzodiazepines reduce anxiety by depressing activity in the central nervous system. Dog anxiety medications within this class include Lorazepam (Ativan), Diazepam (Valium), and Alprazolam (Xanax). 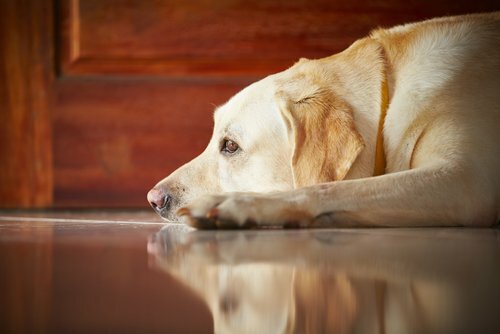 Can Dog Anxiety Be Treated Without Medication? Not all dogs need medical intervention to treat their anxiety symptoms. Professional training and counter-conditioning techniques work wonders for some pups. Anxious dogs – especially high-energy breeds – show great improvement simply by increasing their level of physical exercise and mental stimulation. Whether it’s a Thunder Shirt or a strategically tied scarf, pressure wraps can help dogs deal with situational anxiety from fireworks and storms. Acupuncture and Chinese herbal therapy may also reduce canine anxiety. Certain pheromones mimic chemicals produced by nursing mama dogs to sooth their puppies. Products containing Dog Appeasing Pheromone (DAP) have the same effect on adult dogs, and can help them cope with separation anxiety, noise phobias, and travel. L-theanine works by increasing serotonin, dopamine and gamma-aminobutyric acid (GABA) levels in the central nervous system. S-adenosyl-methionine (SAMe) supplements work by increasing serotonin, dopamine, and norepinephrine levels in the brain. You may have heard of people using CBD products to take the edge off their anxiety. Short for cannabidiol, CBD is one of many compounds known as cannabinoids found in hemp and marijuana plants. CBD oil works by interacting with the endocannabinoid system (ECS), a group of receptors throughout the central nervous system of mammals. When introduced to the ECS of an anxious dog, CBD binds to these receptors, helping to bring the body and mind back into balance. The result is a calmer, happier pup. Marijuana has high levels of THC, which can be harmful to pets, but CBD from hemp is safe for dogs and contains only trace amounts of THC. However, the only way to make sure CBD is truly safe for your dog is to choose a product completely free of THC. 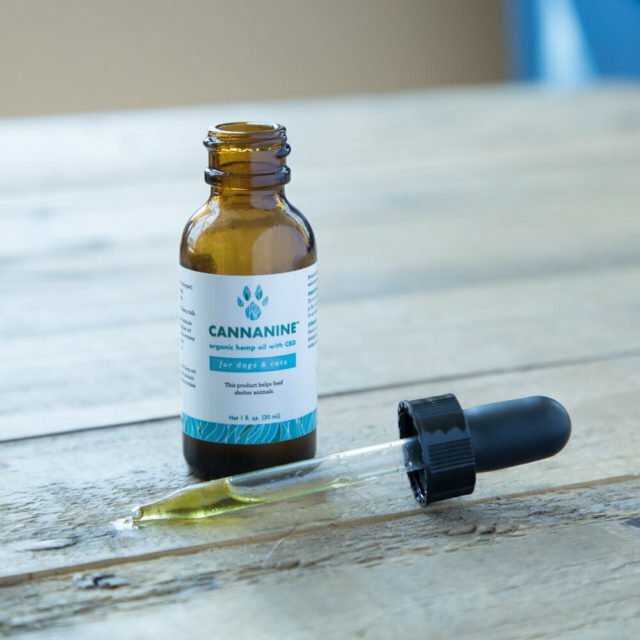 Creating CBD oil with 0% THC involves an expensive extra step in the manufacturing process, but the makers of Cannanine Organic Full Spectrum Hemp Oil™ believe dogs are worth it! All of our products are 100% free of THC. If your dog battles anxiety, it is nice to know you have an array of options. Anxiety medications for dogs have their place, but natural products like high-quality CBD oil are safer and may eliminate the need for pharmaceuticals in some dogs.